Oldham Central Masjid is the House of Allah and a place of worship. Modesty, cleanliness and purity are the basic tenets everyone has to adhere to when visiting a place of worship. You must dress modestly and behave in accordance with rules and regulation of this Masjid. We welcome educational/school but these visits should be arranged in advance with Masjid authority. Visit requests can be made via email to cenmas88@hotmail.com and we will come back you. All visitors are required to take off your shoes at the point of entry to the Masjid and place your shoes on the shoe rack available in the passage. pagers or any other such device which would cause distraction. If you have bags please leave them where directed to do so. Whilst in the building please speak softly so as to not to disturb others. No food or drinks are allowed in the prayer halls at all times. Female visitors to the Masjid should cover their hair and head with a scarf. Women and girls should wear modest length skirts or loose fitting trousers. All parts of the arms and legs should be modestly covered. It is not permissible to wear only singlet vests or shorts when visiting the Masjid. Smoking is strictly prohibited in the Masjid and its surrounding areas. 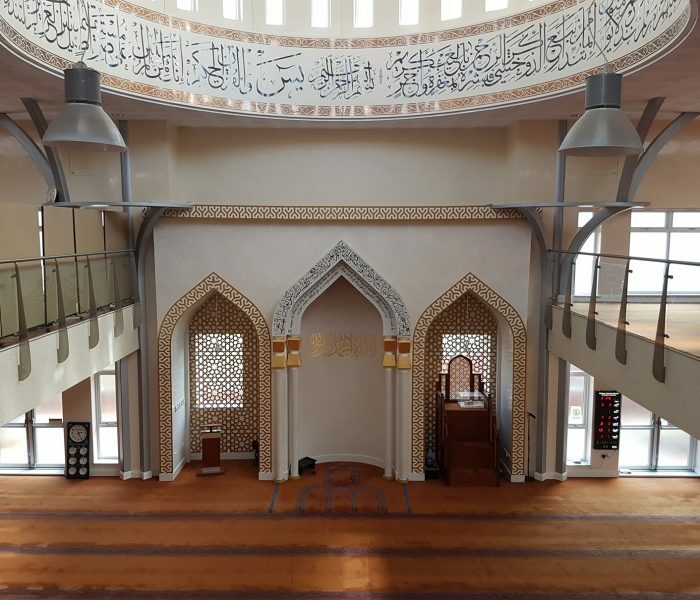 Photographs can be taken inside the Masjid by visitors with prior permission. Commercial photography and videography are not permitted.